I'm John. I'm a UI/UX designer and Front-End Developer. I get to work on all sorts of cool projects ranging from mockups and prototypes, to crazy awesome interactive advertising executions. Check out my Github and see if there's something that might save you some time. Have a look at my portfolio to the right. And dont hesitate to drop me a line. 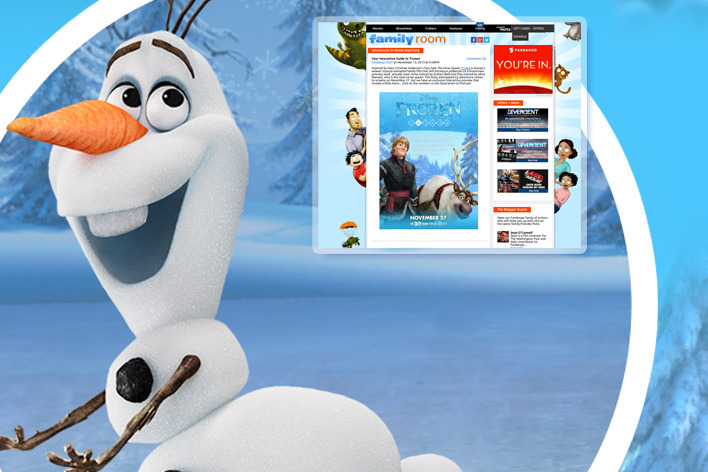 This interactive HTML5 scroller was positioned within Fandango's Movie blog and featured exciting character artwork and facts from Disney's Frozen.